SPITFIRE TRIPLE RIFLE MAGAZINE FLAP is additional flap for SPITFIRE that can be used instead of the standard one. 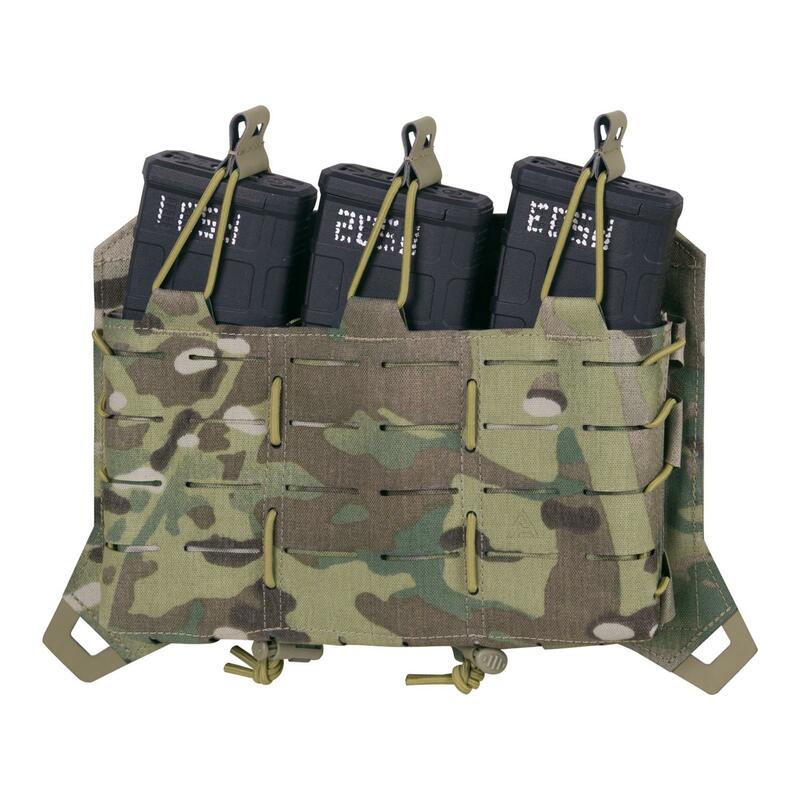 Thanks to our adjustable rifle pouches sewn directly on it's surface, it allows carry three rifle magazines for AR, AK or SR platform. Elastic top handles made of anti-slip Hypalon secures the magazines. The front surface is covered with laser cutted MOLLE/PALS modular system. The flap mounts to the dedicated flap ports on the SPITFIRE or to the chest rig interface via attached buckles for QD configurations.